Starting 2019 with a classic farce, Simply Theatre is thrilled to bring Neil Simon’s award-winning work to the Pumphouse stage this February. Hilarity abounds in this portrait of three couples in three acts, each involving different characters but all set in Suite 719 of New York City’s Plaza Hotel. In it we meet a suburban couple who are revisiting their honeymoon suite, a Hollywood producer who, after three marriages, is looking for fresh fields, and a mother and father fighting about the best way to get their daughter out of the bathroom and to her wedding. 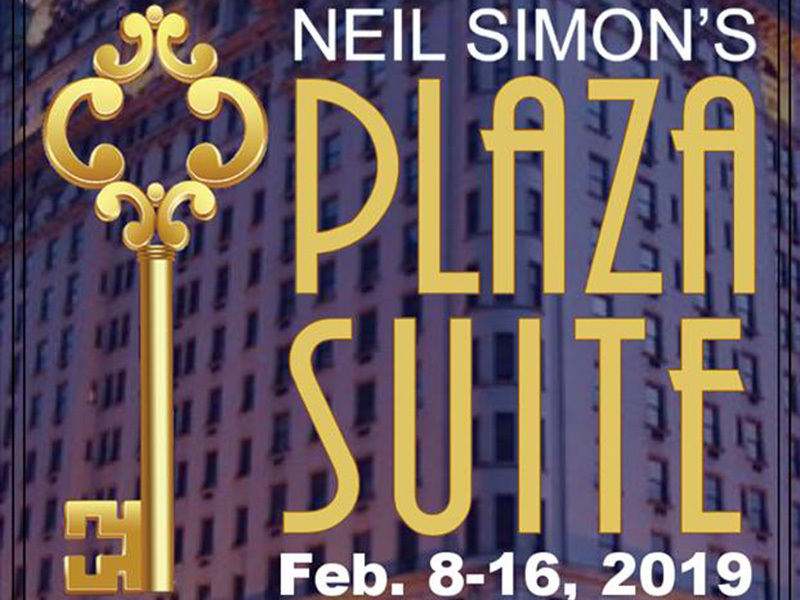 Plaza Suite runs February 8 to 16, 2019 at the Joyce Doolittle Theatre, Pumphouse Theatres (2140 Pumphouse Ave. SW).